Surabaya, The City of Heroes, is the second-largest city in Indonesia, and although it is not as popular a tourist spot as many other cities nearby are (think of Bali and Mount Bromo, for example), it is actually a place worth visiting even so. This is a business hub and a major commercial center, and this means that it has some of the best accommodations and most modern entertainments available in the country. Surabaya’s name comes from the local words for “shark” and “crocodile”, according to the legend, but you are not going to find any sharks or crocodiles here—at least, unless you visit the city’s business districts, where the competition can be fierce among financial moguls and moneymakers. Most of Surabaya, though, is friendly and welcoming. You can easily hobnob with locals in the markets and even do a bit of haggling with them at certain shops. Since Surabaya is a city with connections to so many other big cities and towns in the country, you can expect it to have many delicacies from nearby places as well. Souvenir shopping can be great fun here. 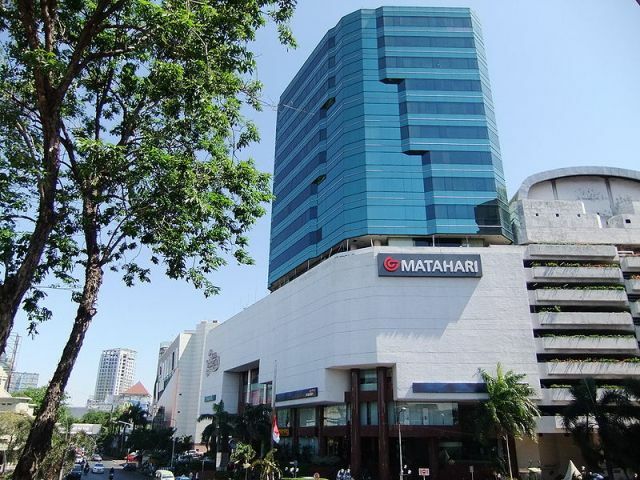 Surabaya also has a lot of excellent modern amenities. Rustic this city is not, but for homesick travelers and businessmen seeking the modern comforts and amusements of home, it is the perfect place to get what they need. Modern theaters and shopping arcades abound, as do bars and golf courses. The Ciputra Waterpark offers some relief on summer days and some beautiful old structures from colonial eras remain amidst the modern bustle when you feel like seeing something more culturally and historically significant. Surabaya is a place you should not scorn to visit in Indonesia, especially if you find yourself looking for some more modern luxuries. This is a city chock full of them and it should see to your needs very well. The Monumen Kapal Selam is a testament to the naval history of Indonesia. 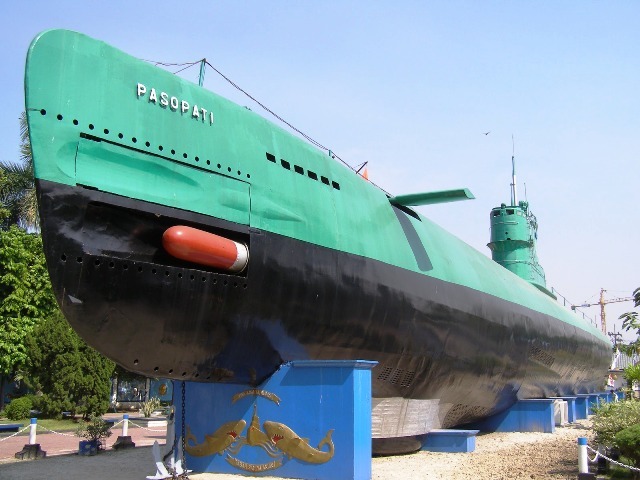 The museum is primarily housed in Indonesia’s finest and first submarine, the Pasopati 410. Built in Vladivostik in year 1952, the Russian Whiskey class submarine was purchased by the country in 1962. It served the country in the effort to push the Dutch out of New Guinea. Its job was to destroy the enemy lines as well as supervise and conduct secret raids. The Pasopati also took a major role in maintaining Marine Law, especially during Operation Trikora. The submarine was known to have destroyed enemy lines by psychologically putting pressure on the enemy. 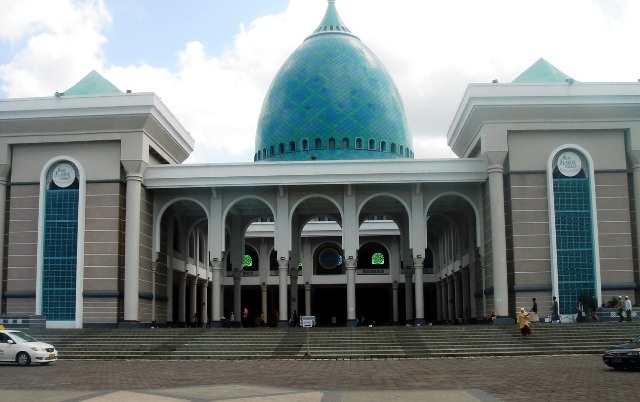 The Masjid Al Akbar Surabaya, more familiarly known as the Grand Mosque of Surabaya, is one of the biggest mosques in South East Asia. With its unique and beautiful architecture, it is not surprising to know that many local and foreign tourists come to see the mosque in its entire splendor. The Old Town area of Surabaya is where most of the historical and impressive landmarks of the city can be found. 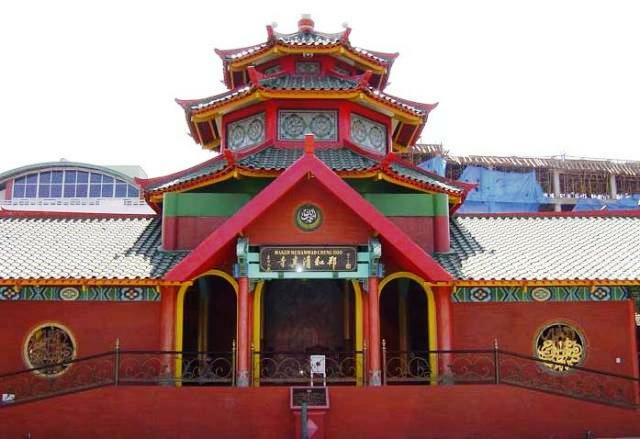 Most of these structures exhibit the period of Dutch architecture with evident Chinese and Arabic influences. Despite many of these buildings and landmarks being in poor conditions, this part of Surabaya is still incredibly appealing. 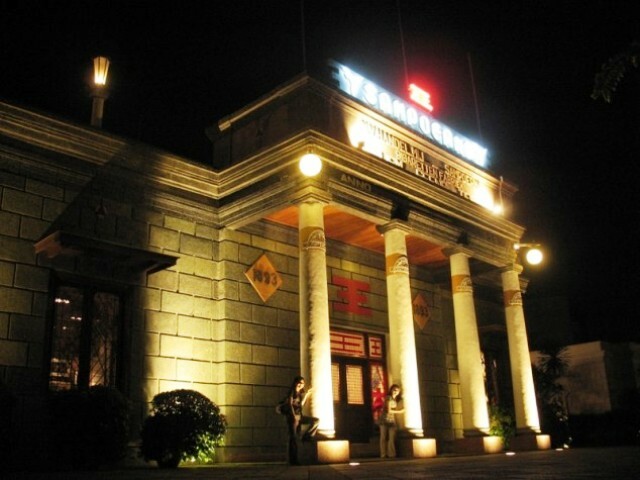 The House of Sampoerna is a compound inspired by the Dutch colonial style built in 1862 and found in the Old Town of Surabaya. Today, it remains preserved as a historical site of the city mostly due to its significance for the olden times of Surabaya. The Suramadu Bridge is a famous bridge of Surabaya that crosses the Madura Strait and connects the Java Island to Madura Island. The famed bridge is 5,438 meters in length, making it the longest bridge in the Indonesia. 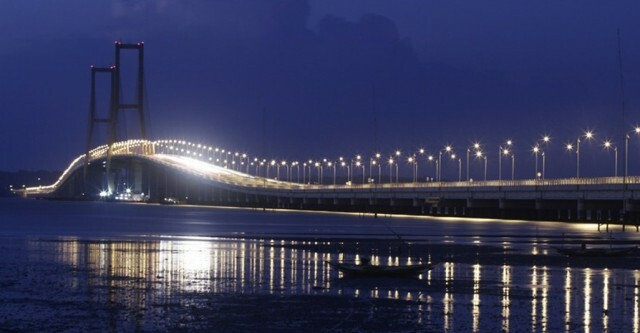 The presence of the new bridge has brought tremendous positive effects to the island of Madura. The Plaza Tunjungan is the lifestyle and shopping destination for the locals of East Java. The plaza is the largest shopping center in East Java with a gross floor area of 228,612 square meters. It is also strategically located in the center of the city’s central business district, making it a prime destination not only for tourists but for locals as well.